Arsenal are in dire need of a win over Swansea this Wednesday evening, with the Gunners dropping points and letting their competition for the Premier League open up a gap at the top of the table. Joel Campbell got them off to a flying start at the Emirates too, firing past Lukasz Fabianski with an impressive half-volley. The home side were dominating right from the off, and created several decent chances early on. 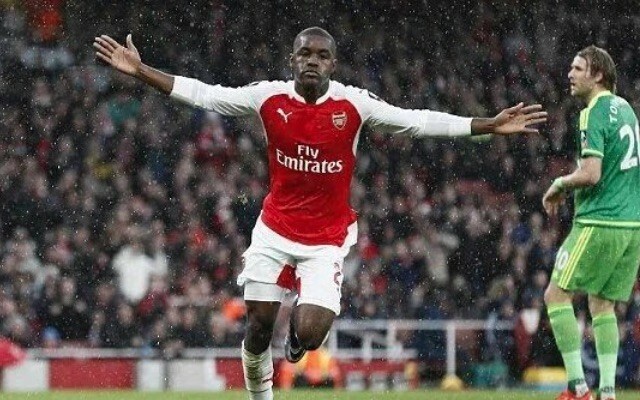 Olivier Giroud, Alexis Sanchez, and Aaron Ramsey all should have done better with their opportunities, but where they failed, Campbell really shone. Alexis put a great ball over the top of the Swansea defence, with nobody tracking the run of Campbell. It looked as though the ball may run away from the Costa Rican, but he struck it superbly on the half-volley and left former Arsenal shot-stopper Fabianski with no chance. Arsenal don’t exactly have the best record against Swansea, and they’ve been a bit of a bogey team for Arsene Wenger over the years. They’ll need to make sure they don’t let this lead slip though, or they may well have to wave goodbye to their chances of lifting the title. Joel Campbell has struggled for game time since the return of Alexis Sanchez, but a good showing against the Swans could get him back into the team.